Hodder & Stoughton, 9780340953075, 320pp. Timothy Gandy has kept his lifetime's ambition secret for forty years. Now, suddenly (if tragically) released from the hen-pecked tedium of his ordinary existence, he is unexpectedly free to realize his dreams. 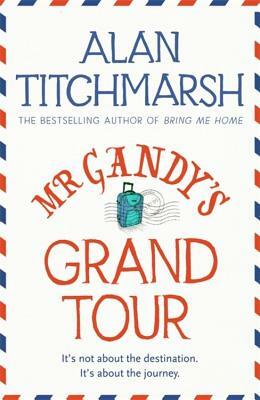 He will embark on a Grand Tour of Europe, following in the footsteps of the aristocrats of the eighteenth century. He anticipates high art, culture and pleasant weather. He never expected to encounter new friendships - and possibly even love - along the way. Alan Titchmarsh is known to millions through his career as a television presenter of shows including Ground Force, Gardeners' World, Love Your Garden, the Chelsea Flower Show and The Alan Titchmarsh show . He has written more than forty gardening books, as well as eight best-selling novels and three volumes of memoir. He was made MBE in the millennium New Year Honours list and holds the Victoria Medal of Honour, the Royal Horticultural Society's highest award. He lives with his wife and a menagerie of animals in Hampshire where he gardens organically.